The captivating and intricate design of this afghan runner is inspired by the culture of Iran and mix with Kashmir craftsmanship in India. The vintage look and warm feel of this rug make it stand in the category of the famous rugs from India. 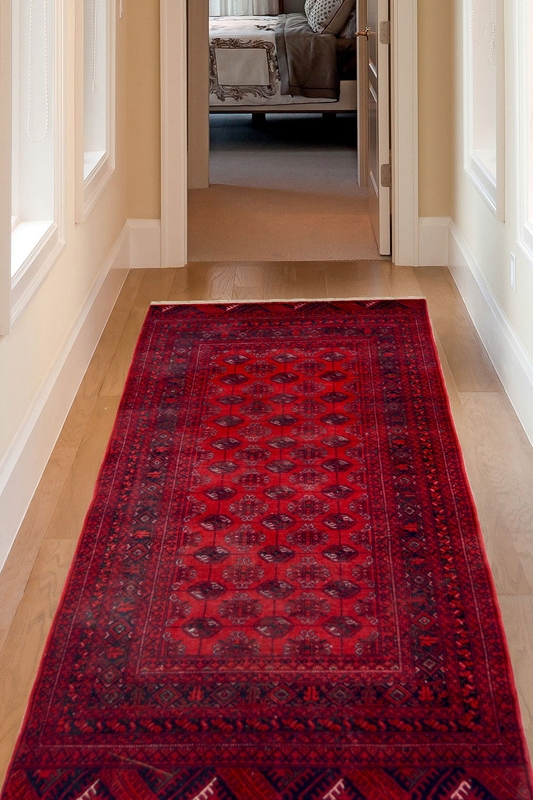 This rug is woven using in hand-knotted technique in India with a detailed antique design pattern. It has a stunning combination of vibrant colors like maroon and the world-class quality material (Pure wool and cotton) make this rug a true representative of what Indian rugs are known for.